The Petworth Emigration Project records ten years' work by a group of researchers in Canada and England who came together for a case study of assisted emigration. The subject of the study is 1830s emigration and immigration - from Sussex and other counties in the south of England to Ontario in Canada. It will interest historians, genealogists, and everyone who wants to know more about the immigrant experience. McGill-Queen's University Press published two books about the Petworth emigrations in 2000. Assisting Emigration to Upper Canada examines the social upheavals and political responses that led sponsors to send emigrants from England. It also investigates the background of the rural, working people who took this opportunity to emigrate and follows them to places where they first settled in colonial Upper Canada. 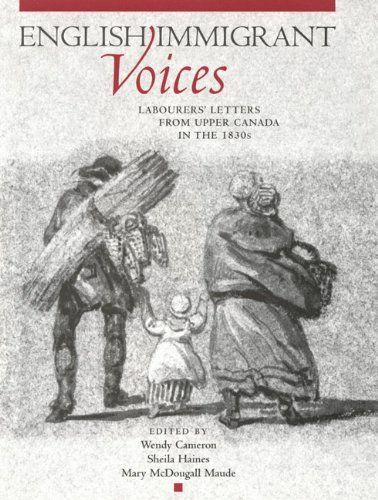 English Immigrant Voices is a collection of the letters Petworth immigrants sent to family and friends at home. These letters have been edited and annotated to help the modern reader. 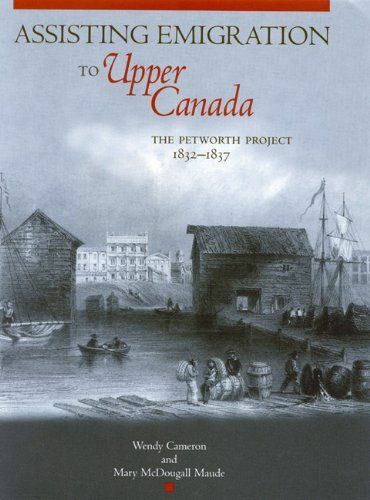 Petworth emigrants were part of a larger movement of working-class people from the south of England to Upper Canada (Ontario). In the 1830s, English parishes and landlords tried to solve problems of rural poverty by assisting people to emigrate to Upper Canada. One successful example was the Petworth Emigration Committee organized by the Reverend Thomas Sockett, under the sponsorship of the Earl of Egremont. The Petworth committee chartered ships and sent emigrants from England to Canada in each of the six years between 1832 and 1837. In addition to people from its own Petworth area of Sussex, the committee helped send emigrants from almost 100 parishes in Sussex and neighbouring counties. Between 1830 and 1837, more than 19,000 immigrants arriving at the port of Quebec had had financial help from parishes and landlords. Assisted immigrants numbered close to one-third of all arrivals from England in these years. Some 1800 of these parish-aided immigrants sailed from Portsmouth to Toronto on ships chartered by the Petworth Emigration Committee. In Ontario, English immigrants of the 1830s are usually identified as members of the upper crust, half-pay officers, and other middle-class settlers who often contributed very real talents to the colony but who also gained a reputation for a failure to adapt. An Ontario historian asked to name a English immigrant of this era might easily come up with the talented Susanna Moodie, a half-pay officer's wife and author of Roughing It in the Bush. In this, the best-known book of the period, Moodie underlined the disconnection between her past life and present circumstances. By contrast, Petworth immigrants who came at the same time as the Moodie's blended so smoothly with the general population that we had difficulty following their fortunes. By unearthing their stories, and by published their first-hand accounts in the letters they sent home, we hope to make known the opinions and strategies of a very different group of English immigrants.